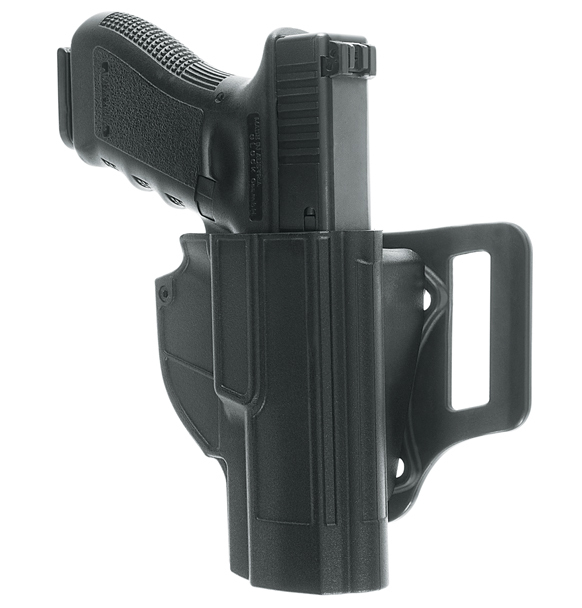 The new line of holsters EVOLUTION5 2.0 in injection stamped polymer has been created with a new design, new security and locking systems, new belt loops, new tactical leg plates and several new accessories for the placing of the holster. 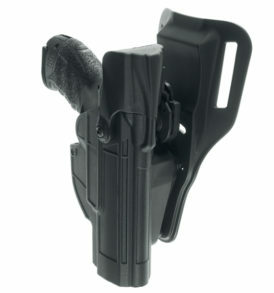 The accurate choice of the raw materials and the evoluted productive technology give the EVOLUTION5 2.0 holster a very high technical and esthetic quality. 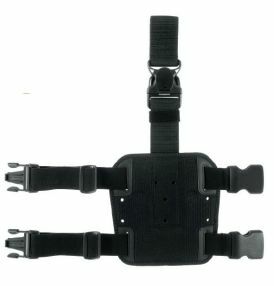 The EVOLUTION5 2.0 system is composed of fixed, rotating and removable belt loops, in order to obtain several inclinations and positions. 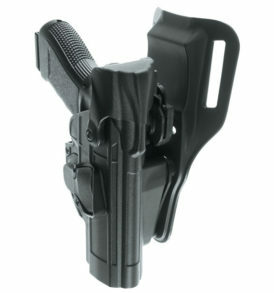 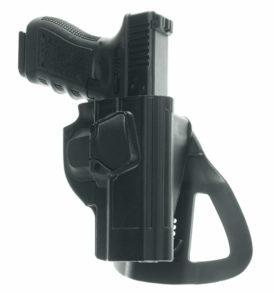 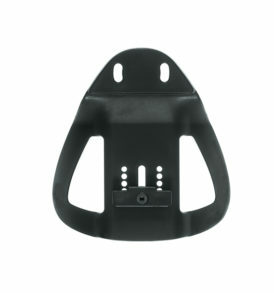 This holster EB10 is photographed with BLA belt loop.